We Did It! What a Great 50th Celebration! We stood in the old Santeramos building and thought we could still smell the pizzas. Then we imagined the margaritas and burritos in that same space when we ate there at Adelitas. 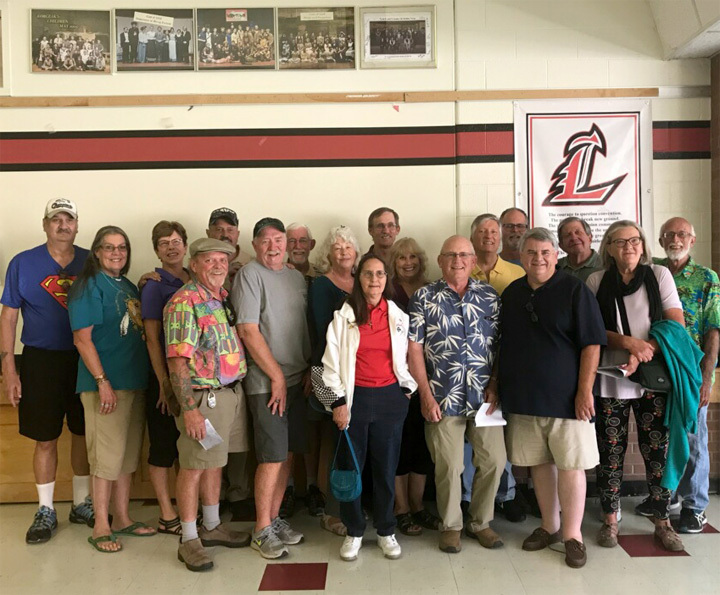 Now as AKA Kitchen/Rock Coast Brewery the LHS Class of 1968 saw faces we haven't seen in awhile. We renewed acquaintances and we got updated on what our Classmates had done for the past 50 years. We toured Loveland High School on Saturday morning. We saw how additions have been made to the building, how areas had been re-purposed into new uses and we learned how classes have changed and how they cross discipline boundaries as we knew them. On Saturday evening we enjoyed a wonderful buffet, mingled and visited while we watched a very nostalgic presentation -- we saw how we looked throughout the years and even got a glimpse of how we look compared to famous people. We remembered 1968 .. and we celebrated 2018. Sunday we met at North Lake Park for our final event and said good-bye to our found-again friends. It was a fantastic weekend - one we won't forget for a long time and one which we had a wonderful time celebrating our lives, our accomplishments and our friendships. Thanks to the committee members who made this event the best ever! Linda Kirtright O'Brien with her trusty helpers Jan Tesar Tanner and Bonnie Dykes Stahlin put together a slide presentation for the reunion which featured interesting information about our class and profiles on some classmates. Mark has suggested that we meet informally each year at North Lake Park at Noon on the Saturday following Labor Day. In 2019 this will be on September 7. 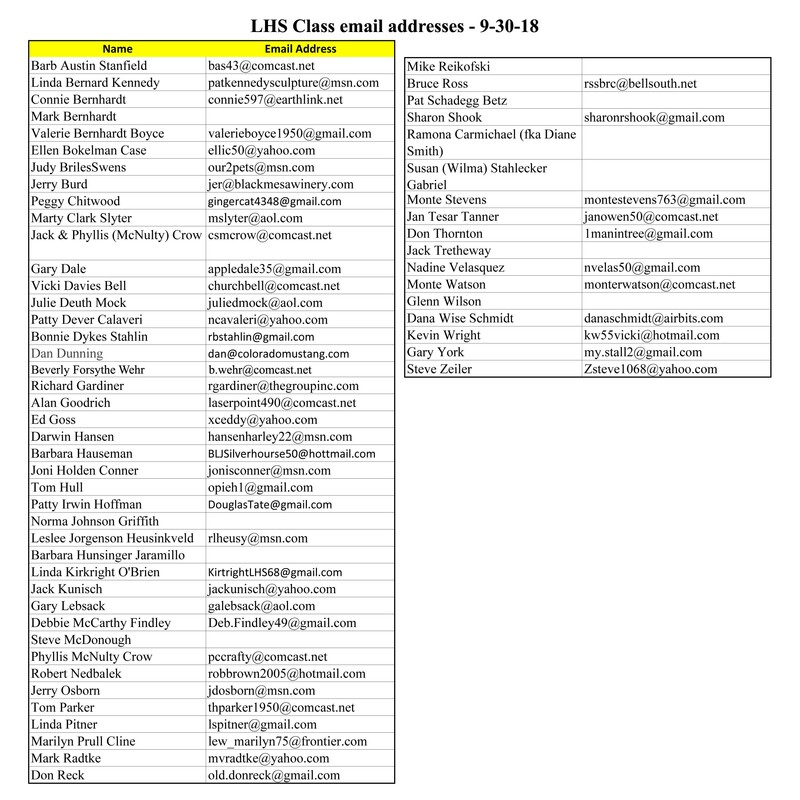 This informal gathering will be potluck and classmates from other classes will be welcome. We're hoping this becomes an annual event. The Class of '69 will be holding their 50th! >> see their website!